When Jake Crowley rescues Rose Black from assailants on the streets of London, the two find themselves embroiled in a mystery that could cost them their lives. People are dying, and all the victims have one thing in common with Rose: a birthmark in the shape of an eagle. 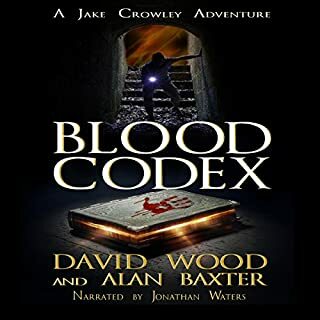 From beneath the streets of London, to castle dungeons, to the heart of Christendom and beyond, Jake and Rose must race to stay alive as they seek to unlock the secrets of the Blood Codex. Templar Treasure! Romanov's Bane! The Amber Room! 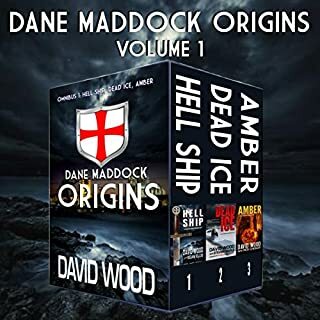 This collection includes three action-packed adventures from the Dane Maddock Origins series: Hell Ship, Dead Ice, and Amber. In AD 533, the last Vandal ruler in North Africa consults an oracle on how to defeat the invading Byzantine army. The oracle tells the king that a high priestess cast a curse upon the Vandal Kingdom after a sacred scroll was stolen. In order to lift the curse, the scroll must be returned to its rightful home. But the kingdom falls before the scroll is found, leaving its location a great mystery...until a current day archeological dig, funded by Sam and Remi Fargo, uncovers some vital clues. Great history mystery with a hunky hero! It is a myth out of history, spawned by Native American lore and the stories of Spanish explorers. But what if the legends are true? Former Navy SEAL turned treasure hunter Uriah "Bones" Bonebrake sets off on his first solo adventure in this action-packed novella. When television host Joanna Slater hires Bones to help investigate one of Florida's oldest and best-known legends, their crew gets more than they bargained for. Mystery and thrills abound in Primitive! 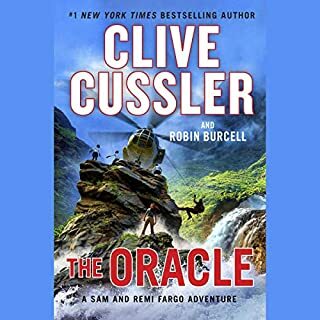 When a forgotten journal materializes decades after Drake Ramsey's father vanished in the Amazon jungle, Drake decides to follow in his footsteps and search for the legendary treasure of the Inca empire hidden in the lost Inca city of Paititi. On the Texas border, a brutal massacre threatens to ignite a firestorm of violence that will destabilize an already fragile Mexican government and trigger an international crisis that knows no boundaries. The only clue, a cryptic message: The time for Destiny has arrived! Tam Broderick, leader of an elite CIA task force, code-name: Myrmidon, knows that the Dominion - a quasi-religious extremist group - is behind the attacks; now it's up to her and her team to find out what the Dominion's true goals are. In the aftermath of a hurricane, a series of strange events plague the coastal waters off Florida. People go into the water and never return. Corpses of killer whales drift ashore, ravaged from enormous bite marks. A fishing trawler is found adrift, with a mysterious gash in its hull. Transferred to the coastal town of Merit, police officer Leonard Riker uncovers the horrible reality of an enormous thresher shark lurking off the coast. Forty feet in length, it has taken a territorial claim to the waters near the town harbor. What dark secret did the Founding Fathers of America hide, and who will stop at nothing to uncover it? 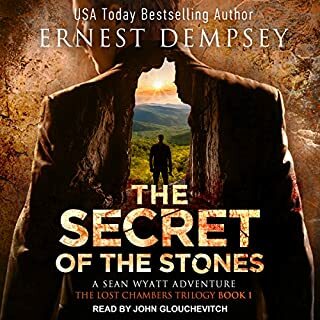 Navy SEALs in-training, Dane Maddock and Bones Bonebrake can't be in the same room without trying to kill each other, but soon find themselves caught up in a race with a secret society to solve a mystery that dates back to the founding of America. 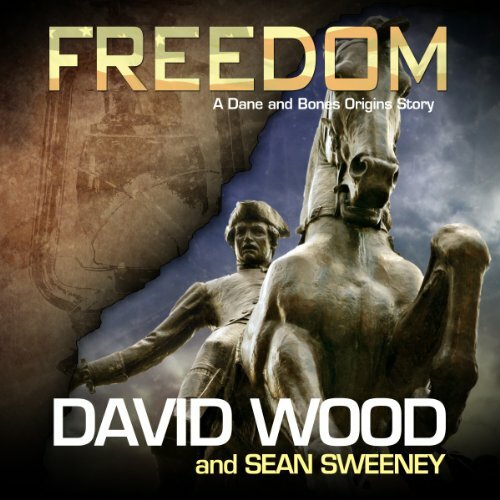 Find out how it all began in the action-packed first Dane and Bones Origins novella... Freedom! A novella full of intrigue, action and friendship. 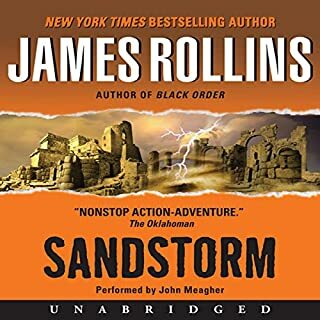 While I listened to this I couldn't help but smirk every now and then when something was revealed or happened that had been eluded too in other books (the Dane Maddock Adventure series), it's one of the reasons I like origin stories but this one seemed to do it better than most. A talent that David Wood seems to have at capturing a readers attention. It was really interesting seeing how Dane and Bones' friendship came to be. I listened to it in one sitting...it is that good. Kafer did as he always does and captivates the listener as he tells the story as only he can. These guys like to write about history, with a heavy dose of conspiracy theory. This involves the founding fathers and a secret society. I did not get into this story, but the concept is a fun one and I will continue the series. I do like the characters. Good characters can cover for a meh story. I'LL SPEND HALF MY PAY ON CHEAP BEER AND WOMEN, THE OTHER HALF I'LL WASTE. Freedom is an amazing work of fiction.. If you could sum up Freedom in three words, what would they be? What other book might you compare Freedom to and why? What about Jeffrey Kafer’s performance did you like? yes he is a very talented Narrator highly enjoyable.. 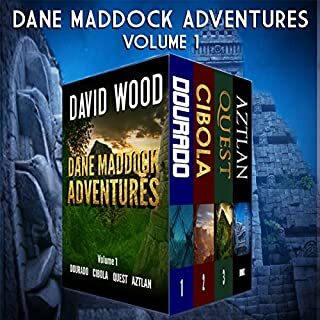 I read the previous 6 books in the Dane Maddock Adventures and they were just Amazing if you like this book then get the 6 book in the Dane Maddock Adventures and listen to more adventures with dane and bones.. I found this book a really good read. The narrator is excellent and keeps you in the story. First let me say that the narration was great. I enjoyed Mr. Kafer's acting of the characters in the book and thought he brought them to life. For the story, 3.5 stars, an interesting take and a new twist on a theme I have seen before. However, I really liked the characters of Dane and Bones and will look into more of their stories. Pretty shallow mystery, along the lines of those movies about finding secrets in the constitution etc. I hope the rest of the series is better not sure if I dare waste a credit on the next one or not. OK narration. It great but ok with a limited cast. What did you like best about Freedom? What did you like least? Freedom is short novel but either way it is a full-length fantastic book, and the narrator did a good job reading this audiobook. It is another great offering in the Dane Maddock series.